One of my more well-known personality traits is my complete inability to keep a secret. I really can’t help it, when I hear good news I want to shout it from the rooftops! Which is why it’s a giant surprise that I have been keeping this major secret under wraps for months. The day is finally here that I can tell you the BIG NEWS! I wrote a book! I’ll type it one more time because I honestly can’t believe it myself: I wrote a book! 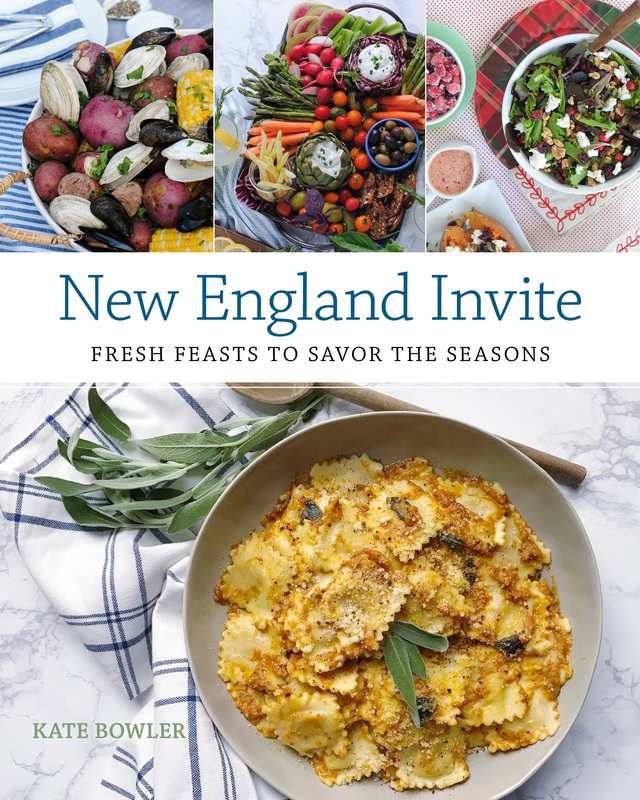 It’s an entertaining cookbook called New England Invite: Fresh Feasts to Savor the Seasons and it will be published this fall – October 2018! I started working on the idea for this book a long time ago. It lived for years in various notebooks and Pinterest boards and half-baked (cookbook joke!) proposals living on my desktop. Late last summer, I connected with the wonderful team at Globe Pequot, who helped me bring my proposal to life and agreed to publish this book! It has been a wild few months – I started working on the book in late August, furiously spending every week developing recipes and weekends working on photo shoots. Then after four insane months I handed in all of my recipes, photography and the manuscript just a few days before Christmas. Since then there has been lots of behind the scenes work on designs and edits going on. Today, the book is finally available to pre-order online – you can find it on Amazon, Barnes & Noble, and IndieBound – which is incredibly surreal! So, what’s this book all about? It’s an entertaining cookbook inspired by New England and the changing seasons. It is organized into twelve seasonally focused chapters, each one featuring a full party concept and a matching event menu. 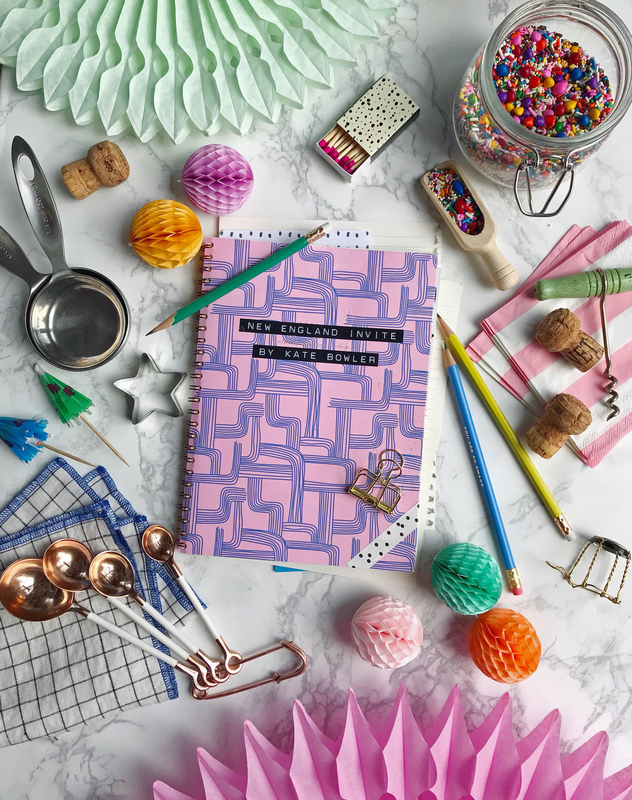 The menus feature recipes for everything from cocktails and appetizers, to the main event and desserts, and loads of personal stories and hacks for making it all come together. Throughout the book, I also break down some of my favorite hostess tips and tricks, and attempt to take a bit of the stress and pressure out of entertaining so that you can relax and enjoy good food and drinks with your friends and family! I will be sharing lots more about the book in the coming months, including some behind the scenes and plans for events this fall when it launches! Before that though, I want to pause to say a quick thank you to my amazing family that majorly stepped up to help me through this book-writing journey. An extra-special thanks to my mom, who dropped everything to help me make this happen, and to my husband, who is so incredibly supportive in helping me with everything from parenthood to lobster bakes. And one final giant thank you to YOU, my blog followers and readers — this idea would not have turned into a book without you. I hope you can join in on my excitement and celebration as this project comes to life — and if you’re interested, you can pre-order the book on Amazon, Barnes & Noble, and IndieBound today, hooray! 10 Responses to "A Big Announcement!" Kate, this is so amazing! Congratulations! The cover is absolutely gorgeous and I can’t wait to receive my copy!! Just ordered! You are the sweetest, thank you so so much! Wow, this is so exciting, congratulations!! Your cookbook cover looks beautiful and the contents sound awesome! I can’t wait to check it out! This is awesome, congratulations!! I can think of a few far-flung relatives who would love to get this come Christmas to remind them of Boston and New England cooking & parties 🙂 It’s on my pre-order list for sure! SO excited for this book! I wish it was October now! Although I would love a Summer first : ) CONGRATS on your inaugural book. I have a feeling there will be many more in the future! I just added New England Invite to my Amazon shop! Congratulations, Kate, I can’t wait for the release and this is HUGE! So happy for you. Let me know how I can support the launch as it approaches! You are the sweetest!! Thank you so much, I can’t wait for it to be in people’s hands!